We just entered springtime, Sant Jordi (23d April) is about to arrive and, for many, during the weeks surrounding this great celebration, their love for the written word gets intensified (and renewed). During these days I start to frequent libraries with a special diligence and La Central in carrer Mallorca is one of my favourites. There, I meet Jordi Carulla (Barcelona, 1972) and Alba Vinyes (Barcelona, 1987), the team responsible for Edicions Poncianes: an independent publisher that since 2007, has not only vindicated the figure of artist Joan Ponç (1927-1984), it has also offered books where poetry and art have a key role. 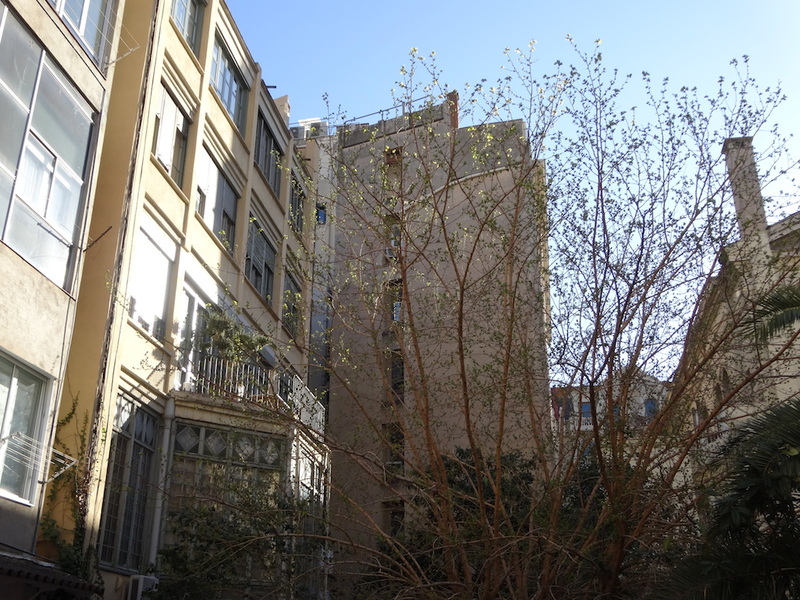 The three of us sit on the terrace of La Central’s cafeteria, located in one of the Eixample’s typical courtyards and – semi dazzled by an early afternoon Sun that catches us slightly unaware- we begin the following conversation. Who was Joan Ponç and how did Edicions Poncianes appear? Jordi. Joan Ponç was a pure painter who lived his art as a total way of expression and knowledge. With Edicions Poncianes, born after the Joan Ponç Association, we wanted to claim him and, through it, the era that allowed the emergence of artists like him. Tell us about that era. Jordi. The 50s or the early 60s were pretty vacant, culturally speaking. Art was still living under the influence of the myths of the early avant-garde: Dali, Picasso and Miró. And the post-war atmosphere was still very present during the 40s or 50s, the appearance of new creators was not are favoured. And this is one of Joan Ponç’s merits and of the magazine Dau al Set co-founded by him and other creators in 1947, they were able to raise a movement out a barren context. Alba. Yes, Joan Ponç and the whole Dau al Set group reactivated the cultural and pictorial panorama assuming and reinventing the heritage of previous movements. The magazine Dau al Set lasted until 1955. But those years were very intense and crucial in order to understand everything that happened in Catalan art during all the following decades. How did you start the Joan Ponç Association and, from there, how did Edicions Poncianes arise? Jordi. The figure of Joan Ponç has always been present in my life since his son was my uncle. When Ponç died in 1984, he was almost forgotten. A large volume of his creations had been hidden for decades. It seemed important to create an Association that would work so that this artist’s creations could be available to the public again. We started organizing Poncian exhibitions and soon we realized that one way of getting the work of Ponç to the public was also through publishing books. Very often, these have enabled us to arrange events and vice versa. How was the team Edicions Ponciances created? Alba. I joined two years ago when they had already organized several exhibitions. The association, as its name suggests, is formed by several partners, each working from their respective fields, but we are present in its day-to-day tasks. Jordi. Alba entered in the moment where, from the association, we decided to focus more strongly in the editorial line. 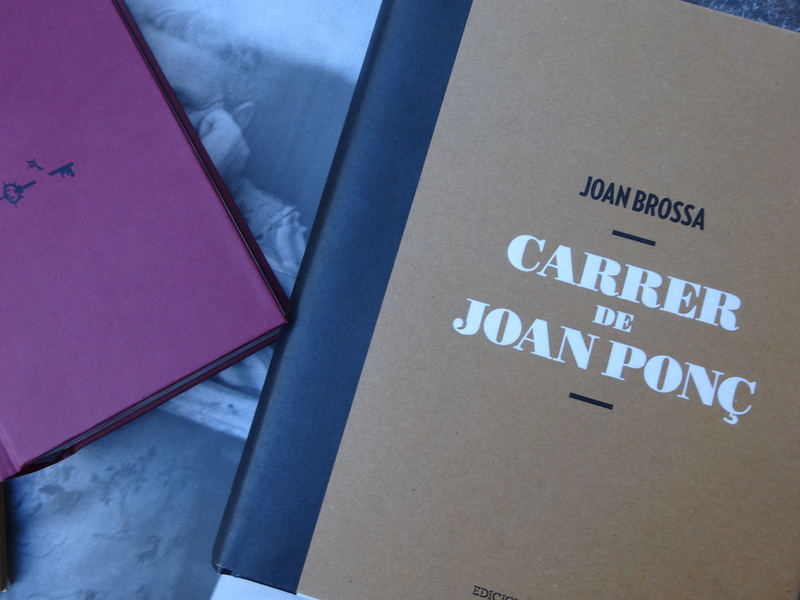 We started with Joan Ponç’s books or books about him, but then decided that apart from claiming what happened 60 years ago, we also wanted to create a new discourse and began publishing rare books, produced in high quality and that have an affinity with the Ponç’s legacy. We have published new authors and a translation of Pessoa’s Faust that has been one of our most ambitious projects. It was then when Alba, who is a philologist, joined the project. What has the expansion of your editorial line brought to you? Jordi. It has been wonderful because the publisher has begun to act as a sort of platform to drive, somehow, the works of young artists. There is a whole group around the Joan Ponç Association: from novice or consecrated poets, translators, art critics or thinkers such as Rafael Argullol. We want to create a bridge between the generation of Dau al Set, its heirs and emerging generations. 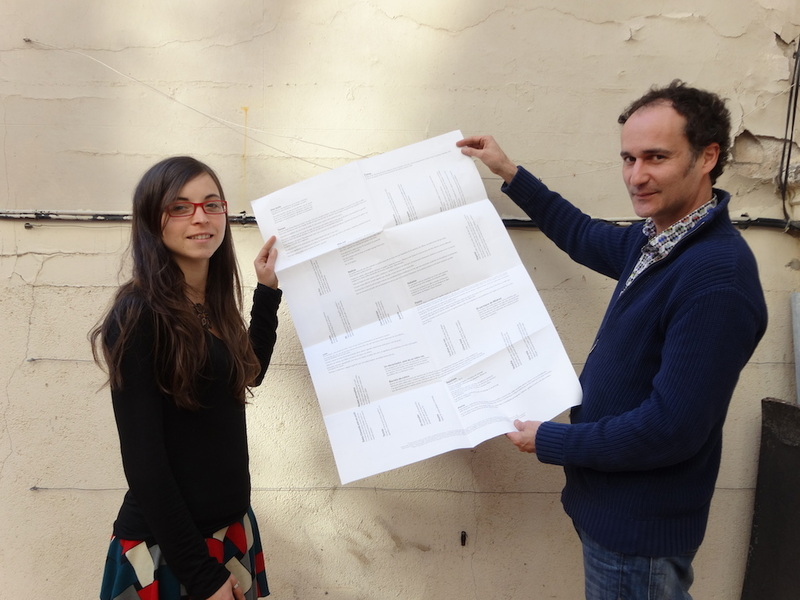 For example, in the book Carrer de Joan Ponç with texts by Joan Brossa, you can find the enormous complicity between the artist and the poet. It is this complicity between different creators that are trying to develop in Edicions Poncianes. What are the main axes of Edicions Poncianes? Alba. One of the distinguishing features of our publishing house is that the books we publish are very detailed, we seek to offer books for real bibliophiles. We take care of both the book as an object (paper, layout, binding, etc.) as also its content. We perform this task by developing three collections: Art, Poetry and Beasts. Some are clearly dedicated to the figure of Joan Ponç such as Allò of dintre, a collection of poems that several authors dedicated to the artist, or Diari d’un artista i alters escrits, based directly on a collection of texts left by Ponç. Then, in the poetry collection, we offer books by young poets such as Gabriel Ventura with Ignar or Ícar i set poemes by Adrià Targa. The ‘Bèsties’ Collection also caught my attention. Jordi. It is our most unique product because we have printed poetry in a non-traditional format: the poster. On one side there is a picture of the author, usually an international cult writer – that is why the collection is called ‘Beasts’. 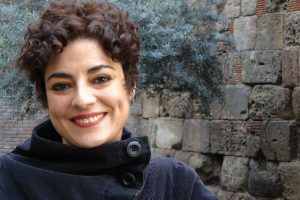 On the other, there is a composition, designed by Adriana Serrahima and built through a series of poems by the author translated by a young translator or a poet of the current scene. Again, we seek interaction: today’s creators reinterpreting the voices of the past. Alba. 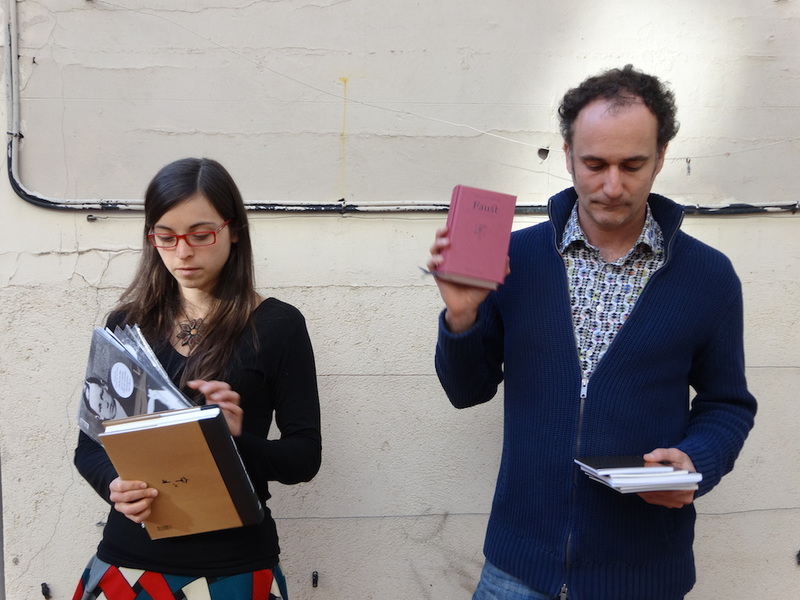 We have fourteen editions of Beasts and except in the case of Blai Bonet or Vinyoli who are already Catalans, we selected poems that were unpublished in Catalan. With this collection, we want people to be a little closer to authors and, in the future, we would like to expand it in the form of a book. For example, this fall will publish El poeta de les cendres by Passolini. The fact that you are printing poems in posters means that you are offering a dose of high culture in a format that is usually more connected to the popular one. Alba. Moreover, in these language is used is much more immediate and visual way, closer to what people are used to seeing today, though the posters are still a literary product. What are the main challenges that an independent publisher has to face? Jordi. Selling is the main challenge. But notice that in recent years there have been many small independent publishers emerging in Barcelona, so the public still has an interest in literature and in general, I think that people appreciate when a book is edited with care. We want to combine the publication of books by new authors and others that are very unique, but at the same time may have less commercial risk. Alba. The publishing world has become very polarized. On one side, there are the major groups and on the other, many small publishers who may have a more concrete and personal commitment to their work. Overall, I have a feeling that the public seeks products that they can relate to in an easier way, can this also be applied to the publishing world? Jordi. In this regard, yes, that is one of the rewards of owning an independent publisher. Another important challenge is that even if certain books are intended for specialists, we can reach a wider audience and the reading experience is as special as possible by getting closer to the public. Alba. This, somehow, also transforms the experience of reading. Receiving immediate feedback from people is one of our greatest satisfactions. We are now in the phase of promoting the new spring novelties and we are organizing various events. Yes, you mentioned that these events contribute significantly to disclose the figure of Ponç as well as to selling books. Alba. That is, the presentation of a book is key, but we always try not over simply it: we seek to bring some value to every event we celebrate. For example, when we presented each of the Beasts, we invited the translator of the poems and an expert on the ‘Beast’ in question to discuss his or her work further and to offer a little more content to the public. 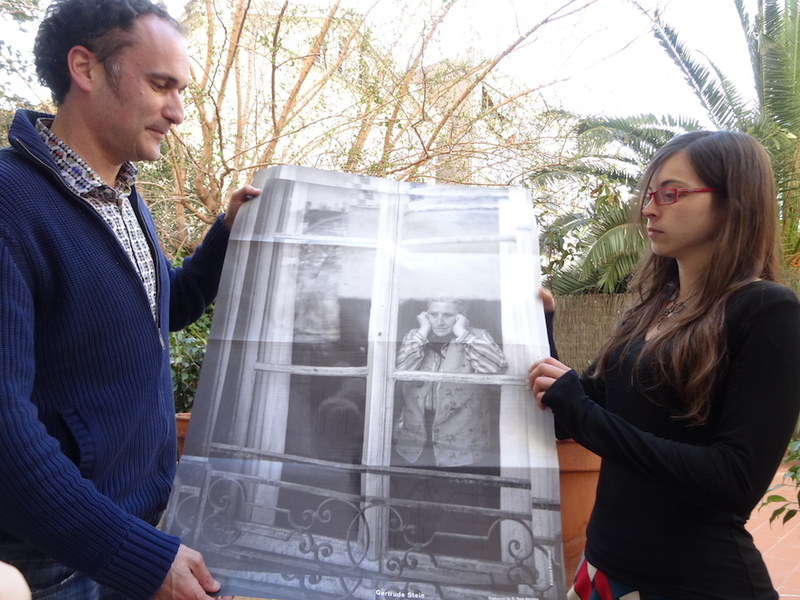 Then, these days in the Jaimes bookshop (until April 18) there is an exhibition of lithographs by Ponç and there we have just presented the book of Ponç abans de Ponç curated by Pilar Parcerisas, which came out last October. A brief digression: this book just received the award for best book of the year awarded by the Catalan Association of Art Critics. Congratulations! Jordi. Yes, we are extremely happy. It really is a very special book that consists of a collection of writings that critics have been making about Joan Ponç and, through his figure, it is also a chronicle of Catalan critics generated during those years, coming from both exhibition catalogues as in press or elsewhere. In addition, we have also been awarded by the magazine Bonart as an association for the promotion and dissemination of the figure of Ponç! Next week is the awards ceremony. We are pleased that the work of these last years is starting to bloom and to be acknowledged. Alba. … It is clear. Continuing with this idea, parallely to the written word, we are always looking to add value to the recitation. So we often organize readings and sometimes we also collaborate with musicians. The origin of poetry lies in the oral tradition, as in the musical. Jordi. That’s right, and we, as far as possible, try to claim it as such. We want a direct experience with the word. To do this, we have been blessed with the complicity of places like the Horiginal del Raval, bookstores such as La Central, the Laie, the Calders… Also in summer we organize a festival of Poetry in the Espluga of Francolí, the RUSC, which is outdoors and it has a lot of charm. This is another way to entice new readers. Moreover, every October we organize the poncian conferences; last year we celebrated them at the MNAC (Museu Nacional d’Art de Catalunya). Alba. It coincided with the commemoration of the 30th anniversary of the death of Ponç and we had given some of his works to the museum’s permanent collection. I am wondering how you are preparing for Sant Jordi. Alba. This year we will have a stall at the Passeig de Gràcia with Diputació along with five other independent publishers of Catalan poetry. We call it Zonapoesia and it is the second year that we celebrate it. We seek to be a zone dedicated specifically to poetry in Catalan, we would like to become a benchmark and who ever seeks poetry, you know you can come to our table on the 23d April. To finish, to what extent do you believe that figures such as Joan Ponç and the whole movement Dau al Set contribute in the creation or the definition of Barcelona’s current identity or, by extension, of Catalonia’s? Jordi. I think their contribution is clear in the sense that there is a unique form of magic surrealism deeply rooted here, almost in a genetic way. I think Joan Ponç is perhaps one of the most obvious examples. His work is able to generate an encounter between popular culture, the unconscious collective imaginary accumulated over the centuries and the symbols that are more typical of high culture, in the world of thought or religious referents. This merger is very typical of Mediterranean culture and here we find artists such as Dalí, Miró or Tàpies that represent it. They say surrealism did not have to be invented in Catalonia because it already existed and it is true that this peculiar glance that Ponç is a clear representative of, is also a part of our identity. I agree that somehow there is this historical and traditional identity. However, how do you think that it is manifested today? Jordi. There are still figures that are like poet-witches that go beyond the mastery of their technique they bring out something amazing that comes out directly from something very deep: perhaps their inner strength or their genetics. Acabamos de inaugurar la primavera, se acerca Sant Jordi y, para muchos, durante las semanas que rodean a esta gran celebración, se intensifica (y se renueva) la atracción por las letras. Estos días comienzo a frecuentar librerías con una asiduidad especial y La Central de la Calle Mallorca es una de mis favoritas. Allí, me encuentro con Jordi Carulla (Barcelona, 1972) y Alba Vinyes (Barcelona, 1987), el equipo responsable de Edicions Poncianes: una editorial independiente que desde el 2007, no sólo reivindica la figura del artista Joan Ponç (1927-1984), sino que también ofrece libros donde la poesía y el arte tienen un papel fundamental. 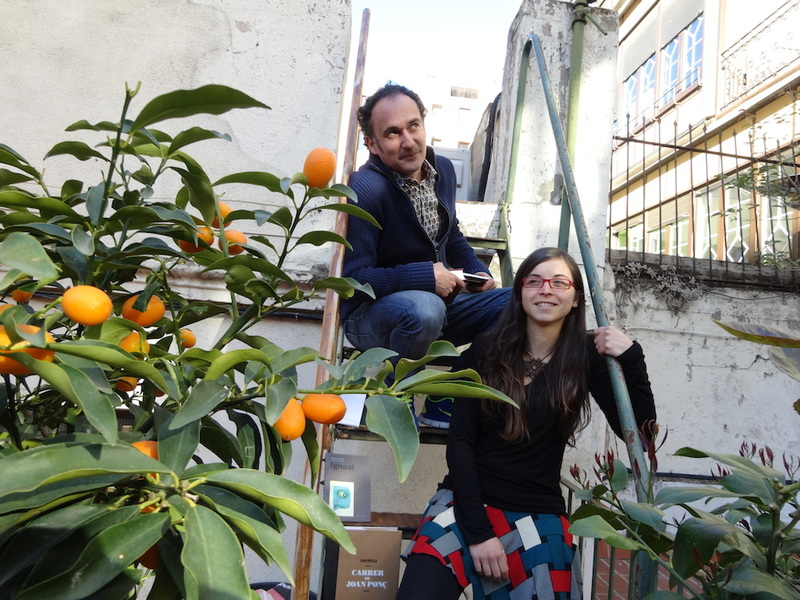 Los tres nos sentamos en la terraza de la cafetería de La Central, ubicada en uno de los típicos patios del Eixample, y – semi deslumbrados por un Sol de sobremesa que nos encuentra algo desprevenidos,– empezamos la siguiente conversación. ¿Quién fue Joan Ponç y cómo nació Ediciones Poncianes? Jordi. Joan Ponç fue un pintor puro: vivió su arte como una forma total de expresión y de conocimiento. Con Ediciones Poncianes, que nace a partir de la Asociación Joan Ponç, hemos querido reivindicar su figura y también, a través de ésta, la época que permitió la aparición de artistas como él. ¿Qué especificidades tuvo su época? Jordi. Los años 50 o principios de los 60 fueron bastante baldíos, culturalmente hablando. El arte aún vivía bajo la influencia de los mitos de las primeras vanguardias: Dalí, Picasso o Miró. Y la atmósfera de posguerra aún estaba muy presente durante los 40 o los 50, no se favorecía la aparición de nuevos creadores. Y este es uno de los méritos de Joan Ponç y de la revista Dau al Set que él co-fundó en 1947: crear un movimiento desde un contexto desierto donde se generaba muy poco. Alba. 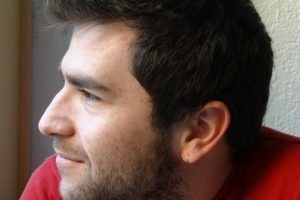 Sí, Joan Ponç y todo el grupo de Dau al Set reactivó el panorama cultural y pictórico asumiendo y reinventando la herencia de movimientos anteriores. La revista de Dau al Set duró hasta el 55. Pero fueron unos años intensos y cruciales para entender todo lo que ha ido pasando después en el arte catalán. ¿Cómo nació la Asociación Joan Ponç y, a partir de ahí, cómo surge Ediciones Poncianes? Jordi. La figura de Joan Ponç siempre ha estado presente en mi vida ya que su hijo era mi tío. Cuando Ponç murió en el año 1984, casi había caído en el olvido. Un gran volumen de sus creaciones había estado escondido durante décadas. Nos pareció importante crear una asociación que trabajara para que su obra volviera a estar a disposición del público. Empezamos a montar exposiciones Poncianas. Pronto nos dimos cuenta de que una manera de hacer llegar la obra de Ponç al público, era también mediante la edición de libros. Muy a menudo, los libros nos han permitido organizar muestras y viceversa. ¿Y como se creó el equipo de Ediciones Ponciances? Alba. Yo me incorporé hace dos años cuando ya se habían organizado varias exposiciones. La asociación, como su nombre indica, está formada por varios socios y cada uno trabaja desde su ámbito respectivo, pero nosotros estamos presentes en su día a día. Jordi. Alba entró en el momento en que, desde la asociación, apostamos con más fuerza por la línea editorial. Empezamos con libros de Joan Ponç o sobre él, pero luego decidimos que aparte de reivindicar lo que pasó hace 60 años, queríamos generar un nuevo discurso y comenzamos a publicar libros singulares, de alta calidad y que tuvieran una afinidad con el legado de Ponç. Nos atrevimos con nuevos autores y con una traducción del Fausto de Pessoa, que ha sido uno de nuestros proyectos más ambiciosos. Fue entonces cuando Alba, que es filóloga, se unió al proyecto. ¿Qué os ha aportado la ampliación de vuestra línea editorial? Jordi. Ha sido muy bonito porque la editorial ha empezado a actuar como una especie de plataforma para impulsar, de alguna manera, las obras de jóvenes creadores. 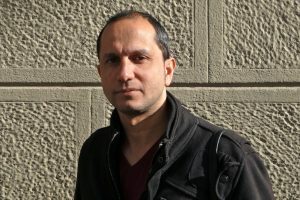 Hay todo un colectivo alrededor de la Asociación Joan Ponç: desde poetas noveles o consagrados, traductores, críticos de arte o pensadores como por ejemplo Rafael Argullol. Lo que queremos es establecer un puente entre la generación de Dau al Set, sus herederos y las nuevas generaciones emergentes. Por ejemplo, en el libro Carrer de Joan Ponç con textos de Joan Brossa, se percibe la enorme complicidad que había entre el artista y el poeta. Es esta complicidad entre diferentes creadores la que estamos intentando recuperar en Ediciones Poncianes. ¿Cuáles son los ejes de Edicions Poncianes? Alba. Uno de los rasgos diferenciales de nuestra editorial es que los libros que publicamos están muy trabajados, buscamos ofrecer el libro único destinado a auténticos bibliófilos. Cuidamos tanto el libro como objeto (papel, maquetación, encuadernación, etc.) como su contenido. Esta tarea la llevamos a cabo mediante tres colecciones: Arte, Poesía y Bestias. Algunos están claramente dedicados a la figura de Joan Ponç como por ejemplo, Allò de dintre, que es una recopilación de poesías que varios autores dedican al artista, o Diari d’un artista i altres escrits, basado directamente en una recopilación de textos que dejó el mismo Ponç. Después, en la colección poesía, ofrecemos toda una serie de libros de jóvenes poetas como Ignar de Gabriel Ventura o Ícar y set poemas de Adrià Targa. La Colección Bèsties también me llama mucho la atención. Jordi. Es nuestro producto más singular porque hemos buscado imprimir poesía a partir de un formato nuevo: el póster. Por una cara se encuentra una foto del autor, que suelen ser grandes autores de culto de la literatura universal y por eso la colección se llama ‘Bestias’. Por la otra está una composición, diseñada por Adriana Serrahima y construida mediante una serie de poemas del autor traducidos por un joven traductor o un poeta del panorama actual. De nuevo, buscamos la interacción: creadores de hoy que reinterpretan las voces del pasado. Alba. Ya tenemos catorce ediciones de Bestias y muchas veces, menos en el caso de Blai Bonet o de Vinyoli que ya son catalanes, los poemas escogidos son inéditos en catalán. Gracias a las traducciones, queremos que la gente se pueda acercar un poco más a los autores y en el futuro nos gustaría publicar estas recopilaciones ampliadas también en formato libro. Por ejemplo, el próximo otoño publicaremos El poeta de les cendres de Pasolini. El hecho de que los productos de la colección Bestias sean pósters, acerca la alta cultura a un formato que a menudo está vinculado con la cultura popular. Alba. Además el lenguaje es mucho más inmediato y más visual, más cercano a lo que la gente está acostumbrada a ver hoy en día, aunque no deje de ser un producto literario. ¿Cuáles son los principales retos a los que se enfrenta una editorial independiente como la vuestra? Jordi. Vender es el reto principal. Pero si te fijas, en los últimos años han surgido muchas pequeñas editoriales independientes en Barcelona, así que el público mantiene todavía un interés en la literatura y, en general, creo que se aprecia cuando un libro está editado con cuidado. Nosotros queremos combinar la publicación de libros de nuevos autores y otros que sean muy singulares, pero que al mismo tiempo puedan tener menos riesgo. Alba. El mundo editorial se ha polarizado mucho. Por un lado están los grandes grupos y por otro, las editoriales pequeñas que quizás tienen una apuesta más concreta y personal. En términos generales tengo la sensación de que el público busca productos más cercanos, ¿esto también se puede aplicar al mundo editorial? Jordi. La proximidad que ofrece una editorial independiente, es muy agradecida en este sentido. Otro reto importante es que libros que estén destinados a especialistas, puedan llegar a un público más general y que la experiencia de lectura sea lo más especial posible. Alba. Ser cercano, de alguna manera, también transforma la experiencia de la lectura. Recibir el feedback inmediato de la gente, es una de las satisfacciones más grandes que tenemos. Ahora estamos en la fase de difusión de las novedades de primavera y estamos organizando varios eventos. Sí, habéis mencionado que estos eventos contribuyen significativamente al dar a conocer la figura de Ponç así como también en vender libros. Alba. Así es, la presentación de un libro es clave, pero siempre intentamos no limitarnos a presentar la obra en sí y nada más, sino que también buscamos aportar algo de valor añadido a cada acto que celebramos. Por ejemplo, cuando hemos presentado cada una de las Bestias, hemos invitado al traductor de los poemas y a algún experto en la ‘Bestia’ en cuestión para analizar su obra más a fondo y poder ofrecer un poco más de contenido al público. Luego, estos días en la librería Jaimes (hasta el 18 de Abril) habrá una exposición de litografías de Ponç y allí también presentaremos pronto el libro Ponç abans de Ponç a cargo de Pilar Parcerisas, que salió el pasado octubre. Un pequeño paréntesis: este libro acaba de recibir el premio a mejor libro del año que otorga la Asociación Catalana de Críticos de Arte. ¡Felicidades! Jordi. Sí, estamos extremadamente contentos. Realmente es un libro muy especial porque está formado por una recopilación de escritos que los críticos han ido haciendo sobre Joan Ponç y, a través de su figura, también se genera una crónica de la crítica catalana durante aquellos años: tanto en catálogos de exposiciones como en prensa u otros ámbitos. Además, ¡también hemos sido premiados por la revista Bonart como asociación para la promoción y difusión de la figura de Ponç! La próxima semana es la entrega de premios. Estamos satisfechos de que el trabajo de estos años vaya aflorando y viéndose reconocido. Alba. …Está claro. Y siguiendo con esta idea, paralelamente a la palabra escrita, siempre buscamos dar valor a la recitación. Así que a menudo organizamos lecturas en voz alta y a veces, también colaboramos con músicos. El origen de la poesía radica en la tradición oral, como también en la musical. Jordi. Correcto, y nosotros, en la medida de lo posible, tratamos de reivindicarla como tal. Queremos que haya una experiencia directa con la palabra. Para ello, hemos tenido la suerte de contar con la complicidad de lugares como el Horiginal del Raval, librerías como la Central, la Laie, la Calders… También en verano organizamos un festival de Poesía en la Espluga del Francolí, el RUSC, que es al aire libre y tiene mucha fuerza. Se trata de otra manera de seducir a nuevos lectores. Por otra parte, cada octubre organizamos las jornadas Poncianes, el año pasado pudimos celebrarlas en el MNAC (Museo Nacional de Arte de Cataluña). Alba. Coincidió con la conmemoración de los 30 años de la muerte de Ponç y cedimos algunas de sus obras a la colección permanente del museo. Me gustaría saber cómo os estáis preparando para Sant Jordi. Alba. Este año montaremos una parada en Paseo de Gràcia con Diputación junto con cinco otras editoriales independientes de poesía en catalán. Lo llamamos Zona poesía, es el segundo año que lo hacemos. Buscamos que haya una zona destinada específicamente a la poesía, nos gustaría convertirnos en un referente y quien busque poesía, que sepa que puede acercarse a nuestra mesa. Para ir terminando, ¿hasta qué punto creéis que figuras como Joan Ponç y todo el movimiento de Dau al Set contribuyen a crear o definir la actual identidad de Barcelona o, por extensión, de Cataluña? Jordi. Me parece que su contribución es total. Existe una forma única de surrealismo mágico muy arraigada aquí, casi de forma genética. Creo que Joan Ponç quizás es uno de los ejemplos más evidentes. Su obra es capaz de generar un encuentro entre la cultura popular, el imaginario o el inconsciente colectivo acumulado y los símbolos o referentes más propios de la alta cultura, del mundo del pensamiento o de la religión. Esta fusión es algo muy propio de la cultura mediterránea y aquí lo encontramos en artistas como Dalí, Miró o Tàpies. Dicen que el surrealismo no se tuvo que inventar en Cataluña porque ya existía y es cierto que esta mirada tan peculiar de la que Ponç es un claro representante, también forma parte de nuestra identidad. Estoy de acuerdo en que de alguna manera existe esa identidad histórica y tradicional. ¿Cómo os parece que se manifiesta hoy? Jordi. Siguen existiendo figuras que son como poetas-brujos y que trascienden el dominio de la técnica para aportar algo que parte directamente de su fuerza interior y, en este caso, de su genética. Acabem d’inaugurar la primavera, s’acosta Sant Jordi i, per a molts, durant les setmanes que voregen aquesta gran celebració, s’intensifica (i es renova) l’atracció per les lletres. Aquests dies començo a freqüentar llibreries amb una assiduïtat especial, i La Central del Carrer de Mallorca és una de les meves preferides. Allà em trobo amb el Jordi Carulla (Barcelona, 1972) i l’Alba Vinyes (Barcelona, 1987), l’equip responsable d’Edicions Poncianes: una editorial independent que des del 2007 no només reivindica la figura de l’artista Joan Ponç (1927-1984), sinó que també ofereix llibres en què la poesia i l’art hi tenen un paper fonamental. Tots tres seiem a la terrassa de la cafeteria de La Central, situada en un dels típics patis de l’Eixample, i, mig enlluernats per un sol de sobretaula que ens agafa un xic desprevinguts, encetem la conversa següent. Qui va ser Joan Ponç i com va néixer Edicions Poncianes? Jordi. Joan Ponç (1927-1984) va ser un pintor pur: va viure el seu art com una forma total d’expressió i de coneixement. Amb Edicions Poncianes, que neix a partir de l’Associació Joan Ponç, hem volgut reivindicar la seva figura i, també, a través d’aquesta, l’època que va permetre l’aparició de figures com ell. Quines especificitats va tenir la seva època? Jordi. Els anys cinquanta o principis dels seixanta van ser força erms, culturalment parlant. L’art encara vivia sota la influència dels mites de les primeres avantguardes: Dalí, Picasso o Miró. I l’atmosfera de postguerra encara era molt present durant els quaranta o cinquanta. Això no afavoria l’aparició de nous creadors. I aquest és un dels mèrits de Joan Ponç i de la revista Dau al Set que va cofundar l’any 1947: fer sorgir un moviment des d’un context desert en què no es generava res de nou. Alba. Sí, Joan Ponç i tot el grup de Dau al Set va reactivar el panorama cultural i pictòric assumint i reinventant l’herència de moviments anteriors. La revista de Dau al Set va durar fins al 1955. Però van ser uns anys intensos i crucials per entendre tot el que ha anat passant després en l’art català. Com va néixer l’Associació Joan Ponç i, a partir d’aquí, com sorgeix Edicions Poncianes? Jordi. La figura de Joan Ponç sempre ha estat present en la meva vida ja que el seu fill era el meu tiet. Quan Ponç va morir, l’any 1984, havia caigut en un cert oblit. Un gran volum de les seves creacions havia estat amagat durant dècades. Ens va semblar important crear una associació que treballés perquè la seva obra tornés a estar a la disposició del públic. Vam començar a muntar exposicions poncianes. Aviat ens vam adonar que una manera de fer arribar l’obra de Ponç al públic era també mitjançant l’edició de llibres. Molt sovint els llibres ens han permès organitzar mostres i viceversa. I com es va crear l’equip d’Edicions Poncianes? Alba. Jo m’hi vaig incorporar fa dos anys quan ja s’havien organitzat diverses exposicions. L’associació, com el seu nom indica, està formada per diversos socis i cadascú hi treballa des del seu àmbit respectiu, però nosaltres ens hi dediquem en el dia a dia. Jordi. L’Alba va entrar en el moment en què, des de l’associació, vam apostar amb més força per la línia editorial. Vam començar amb llibres de Joan Ponç o sobre ell, però després vam decidir que a part de reivindicar el que va passar fa seixanta anys, volíem generar un nou discurs i començar a publicar llibres singulars, d’alta qualitat i que tinguessin una afinitat amb el llegat de Ponç. Ens vam atrevir amb nous autors i amb una traducció del Faust de Pessoa, que ha estat un dels nostres projectes més ambiciosos. Llavors va ser quan l’Alba, que és filòloga, es va unir al projecte. Què us ha aportat l’ampliació de la vostra línia editorial? Jordi. Ha estat molt bonic perquè l’editorial ha començat a actuar com una mena de plataforma per impulsar d’alguna manera les obres de joves creadors. Hi ha tot un col·lectiu al voltant de l’Associació Joan Ponç: des de poetes novells o també consagrats, a traductors, crítics d’art o pensadors com ara Rafael Argullol. El que volem és establir un pont entre la generació de Dau al Set, els seus hereus i les noves generacions emergents. Per exemple, al llibre Carrer de Joan Ponç amb textos de Joan Brossa, es percep l’enorme complicitat que hi havia entre l’artista i el poeta. És aquesta complicitat entre diversos creadors la que estem intentant recuperar a Edicions Poncianes. Quins són els eixos d’Edicions Poncianes? Alba. Un dels trets diferencials de la nostra editorial és que els llibres que publiquem estan molt treballats_ busquem oferir el llibre únic destinat als autèntics bibliòfils. Cuidem tant el llibre com a objecte (paper, maquetació, enquadernació, etc.) com el seu contingut. Aquesta tasca la duem a terme mitjançant tres col·leccions: «Art», «Poesia» i «Bèsties». Alguns llibres estan clarament dedicats a la figura de Joan Ponç, com per exemple Allò de dintre, que és un recull de poesies que diversos autors dediquen a l’artista, o Diari d’un artista i altres escrits, basat directament en un recull de textos que el mateix Ponç va deixar. Després, a la col·lecció «poesia», tenim tota una sèrie de llibres de joves poetes com ara Ignar, de Gabriel Ventura o Ícar i set poemes d’Adrià Targa. La col·lecció «Bèsties» també em crida molt l’atenció. Jordi. És el producte més singular perquè hem buscat imprimir poesia a partir d’un format nou: el pòster. Per un costat hi ha una foto de l’autor, que acostuma a ser un dels grans autors de culte de la literatura universal, i per això la col·lecció es diu «Bèsties». 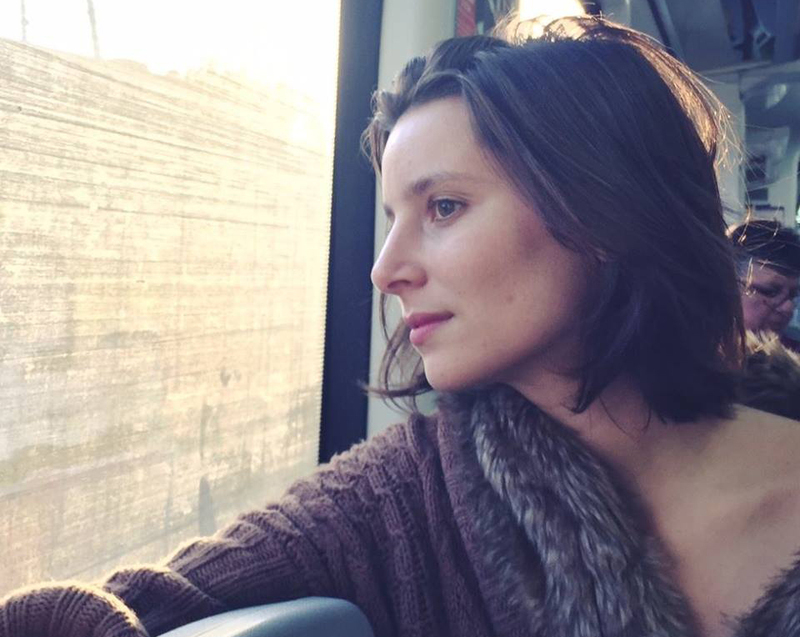 Per l’altre costat, hi ha una composició dissenyada per Adriana Serrahima, construïda mitjançant una sèrie de poemes de l’autor traduïts per un traductor jove o un poeta del panorama actual. De nou, busquem la interacció: creadors d’avui que reinterpreten les veus del passat. Alba. Ja tenim catorze edicions de «Bèsties» i, moltes vegades, menys en el cas de Blai Bonet o de Vinyoli que ja són catalans, els poemes escollits són inèdits en català. Gràcies a les traduccions volem que la gent es pugui apropar una mica més als autors, i en el futur ens agradaria publicar aquests reculls ampliats també en format llibre. 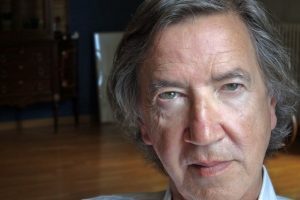 Per exemple, la propera tardor publicarem El poeta de les cendres de Passolini. El fet que els productes de la col·lecció «Bèsties» siguin pòsters, apropa l’alta cultura a un format que molt sovint està vinculat amb la cultura popular. Alba. A més a més el seu llenguatge és molt més immediat i més visual, més a prop del que la gent està acostumada a veure avui en dia. Però no deixa de ser un producte literari. Quins són els principals reptes als quals s’enfronta una editorial independent com la vostra? Jordi. Vendre és el repte principal. Però si t’hi fixes en els darrers anys han sorgit moltes petites editorials independents a Barcelona, així que el públic manté encara un interès en la literatura i, en general, crec que s’aprecia quan un llibre està editat amb cura. Nosaltres volem combinar llibres de nous autors i d’altres que siguin molt singulars, però que al mateix temps puguin tenir menys risc. Alba. El món editorial s’ha polaritzat molt. D’una banda hi ha els grans grups i de l’altra, les editorials petites que potser tenen una aposta més concreta i personal. En termes generals tinc la sensació que el públic busca quelcom més proper. Això també es pot aplicar al món editorial? Jordi. La proximitat que ofereix una editorial independent és molt agraïda, en aquest sentit. El màxim repte és que llibres que estiguin destinats a especialistes puguin arribar a un públic més general, i que l’experiència de la lectura sigui el més especial possible. Alba. Ser proper, d’alguna manera, també transforma l’experiència de la lectura. Rebre el feedback immediat de la gent és una de les satisfaccions més grans que tenim. Ara estem en la fase de difusió de les novetats de primavera i estem organitzant diversos actes. Sí, abans heu mencionat que els actes contribueixen significativament a donar a conèixer la figura de Ponç, així com també a vendre llibres. Alba. És així. La presentació d’un llibre és clau, però sempre intentem no limitar-nos a presentar l’obra en si i prou, sinó que també busquem aportar una mica de valor afegit a cada acte. Per exemple, quan hem presentat cada una de les «Bèsties», hem convidat el traductor dels poemes i a algun expert en la «Bèstia» en qüestió per analitzar la seva obra més a fons i poder oferir una mica més de contingut al públic. Després, aquests dies a la llibreria Jaimes (fins al 18 d’abril) hi haurà una exposició de litografies de Ponç i allà també presentarem aviat el llibre Ponç abans de Ponç, a càrrec de Pilar Parcerisas, que va sortir l’octubre passat. Un petit parèntesi: aquest llibre acaba de rebre el premi a millor llibre de l’any que atorga l’Associació Catalana de Crítics d’Art. Felicitats! Jordi. Sí, estem extremadament contents. Realment és un llibre molt especial perquè està format per un recull d’escrits que els crítics han anat fent sobre Joan Ponç, i a través de la seva figura, també és una crònica de la crítica catalana durant aquells anys: tant en catàlegs d’exposicions com en premsa o altres àmbits. A més, també hem estat premiats per la revista Bonart com a associació per a la promoció i difusió de la figura de Ponç! La setmana que ve és el lliurament de premis. Estem satisfets que la feina d’aquests anys vagi aflorant i veient-se reconeguda. Alba… És clar. I seguint amb aquesta idea, paral·lelament a la paraula escrita, sempre busquem donar valor a la recitació. Així que sovint organitzem lectures en veu alta i de vegades també col·laborem amb músics. L’origen de la poesia és la tradició oral, també la musical. Jordi. Correcte, i nosaltres, en la mesura que podem, mirem de reivindicar-la com a tal. Volem que hi hagi una experiència directa amb la paraula. Hem tingut la sort de comptar amb la complicitat de llocs com l’Horiginal del Raval, llibreries com La Central, la Laie, la Calders… També, a l’estiu organitzem un festival de poesia a l’Espluga de Francolí, el RUSC, que és a l’aire lliure i té molta força. Es tracta d’una altra manera de seduir a nous lectors. D’altra banda, cada octubre organitzem les Jornades Poncianes. L’any passat vam poder celebrar-les al MNAC. Alba. Va coincidir que commemoràvem els trenta anys de la mort de Ponç i vam cedir algunes obres seves a la seva col·lecció permanent del museu. M’agradaria saber com us esteu preparant per Sant Jordi. Alba. Aquest any muntarem una parada a passeig de Gràcia amb Diputació juntament amb cinc altres editorials independents de poesia en català. Ho anomenem «Zona poesia», és el segon any que ho fem. Busquem que hi hagi una zona destinada específicament a la poesia. Ens agradaria convertir-nos en un referent i, qui busqui poesia, que sàpiga que pot apropar-se a la nostra taula. Per anar acabant, fins a quin punt creieu que figures com Joan Ponç i tot el moviment de Dau al Set contribueixen a crear o definir l’actual identitat de Barcelona o, per extensió, de Catalunya? Jordi. Em sembla que la seva contribució és total. Hi ha una forma única de surrealisme màgic molt arrelat aquí, gairebé de manera genètica. Crec que Joan Ponç potser és un dels exemples més evidents. La seva obra és capaç de generar una trobada entre la cultura popular, l’imaginari o l’inconscient col·lectiu acumulat i els símbols o referents més propis de l’alta cultura, del món del pensament o de la religió. Aquesta fusió és quelcom molt propi de la cultura mediterrània i aquí ho trobem en artistes com Dalí, Miró o Tàpies. Diuen que el surrealisme no es va haver d’inventar a Catalunya perquè ja existia, i és cert que aquesta mirada tan peculiar, de la qual Ponç és un clar representant, també forma part de la nostra identitat. Estic d’acord que d’alguna manera existeix aquesta identitat històrica i tradicional. Com creieu que es manifesta avui? Jordi. Segueixen existint figures que són com poetes-bruixots, que transcendeixen el domini de la tècnica i aporten quelcom que parteix directament de la seva força interior i, en aquest cas, de la seva genètica.